Hydro-Quebec’s decision to reassess how it manages demand for energy from cryptocurrency miners could push blockchain firms outside of the country and threatens to dampen the province’s advantage in the virtual currency space, industry players say. Quebec’s government announced Thursday it would develop a new framework for cryptocurrency miners operating in the province and temporarily halt any commercial mining requests given the excessive demand on the province’s energy supply after blockchain companies, lured by some of the cheapest power rates in North America, descended into the region. 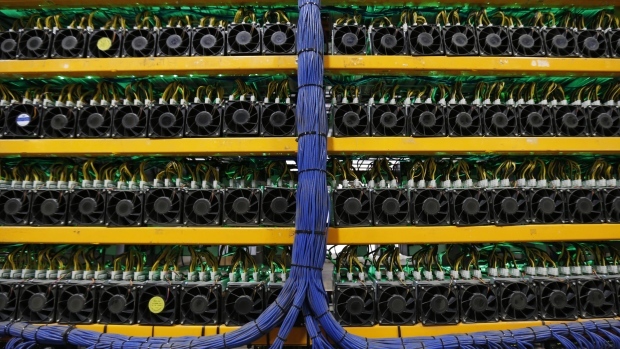 Cryptocurrency miners use a series of computer rigs to mint new bitcoin and other virtual currencies by using an inordinate amount of electricity to solve complicated math puzzles. Hydro-Quebec spokesman Jonathan Côté told BNN Bloomberg the provincial energy generator has received inquiries from 300 cryptocurrency miners seeking over 15,000 MW of power, or nearly half of Quebec’s energy supply. Only 20 companies have signed up with Hydro-Quebec totaling 120 MW, he said. “We have a particular situation and we want the regulator to look at this,” Côté said in an interview. To help manage the surging demand for Hydro-Quebec’s power – among the lowest in the country at roughly 3.4 cents a kilowatt-hour – the generator asked the provincial energy regulator Regie de l’energie to reserve about 500 MW of energy for cryptocurrency miners. Those miners will likely go through a selection process to determine what their economic impact will be in the province, with factors such as job creation and tax revenue taken into account, Côté said. “We want to make sure we have the best players stay in the race,” Côté added. While several leading bitcoin miners applaud Hydro-Quebec’s moves to rein in demand, the decision risks preventing the province from becoming a global cryptocurrency hub. “For outsiders, it’s going to be a little harder to start it from scratch and grow. It might be more challenging for them to defend their business in front of the energy board,” said Bahador Zabihiyan, international public relations director for Backbone Hosting Solutions Inc., a Quebec-based company also known as Bitfarms. Bitfarms, which has a contract to use 30 MW of power in Quebec and is seeking an additional 100 MW in the province for its bitcoin mining, said it’s looking elsewhere in Canada to meet its energy demands, including in Alberta and Labrador where rates are relatively competitive. “We were expecting [Hydro-Quebec’s] decision, so it doesn’t really surprise us,” Zabihiyan said in an interview with BNN Bloomberg. Vancouver-based Fortress Blockchain CEO Aydin Kilic, which has a 2 MW facility in Washington state with plans to expand its power usage to 5 MW, said foreign-based miners are now likely to take a pass on Quebec, and possibly even Canada, if Hydro-Quebec’s new framework demonstrates a preference for local operators. “It might sound like an oversimplification, but leveraging the available power and letting it be used by local companies will keep the economic benefit within the province,” he told BNN Bloomberg in an interview. Quebec’s move to halt new crypto-mining activity mirrors a similar situation in Washington after cheap power and cooler temperatures in the state led to dozens of new players entering the market, Kilic said. In response, the state’s energy utility raised rates last year for some high-volume users and Hydro-Quebec’s Cote said it could ask market players who want to operate in the province to pay slightly higher rates.